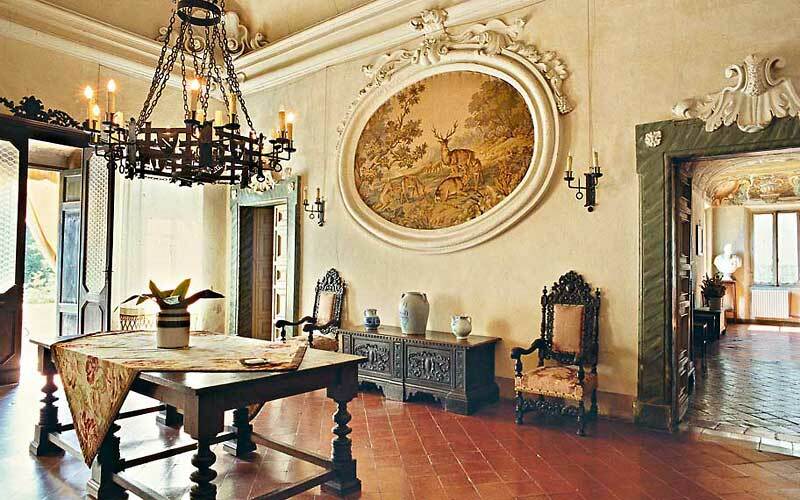 Villa Cattani Stuart of Pesaro offers a charming combination of history, an aristocratic legacy, and elegant hospitality within a prestigious period residence in the countryside of Pesaro. 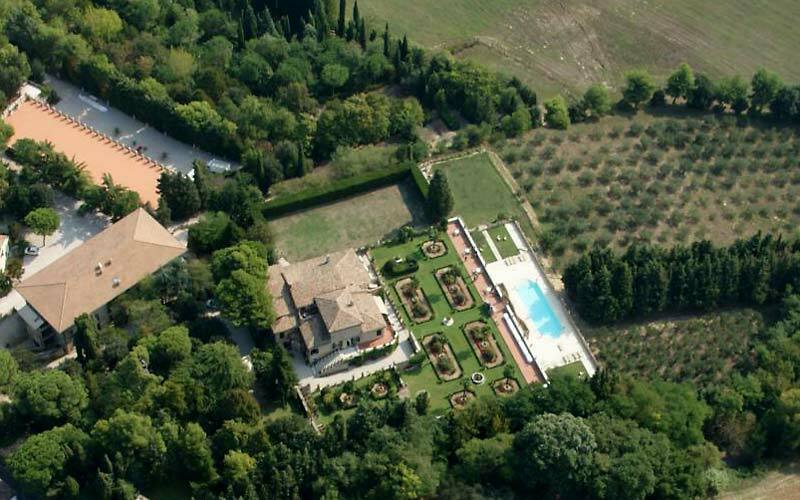 The villa was built by the Cattani family in the small town of Trebbiantico in the mid 1600's. In the 18th century, Villa Cattani was chosen as the residence of the Florentine Cardinal, Alemanno Salviati, who was sent to Trebbiantico by the pope to oversee the provinces of Pesaro and Urbino. In 1726, the Cardinal offered hospitality to James Stuart III, the Pretender to the throne of England. Today Villa Cattani Stuart is an elegant period residence, an exclusive hotel, a highly acclaimed conference center, and a fabulous location for high profile weddings receptions and glamorous social gatherings. From its hilltop position, Villa Cattani Stuart dominates the entire valley of Rio Fosso Sejore, affording the most spectacular views over the countryside of Pesaro as far as the sea. The imposing façade reveals the building's 17th century origins. 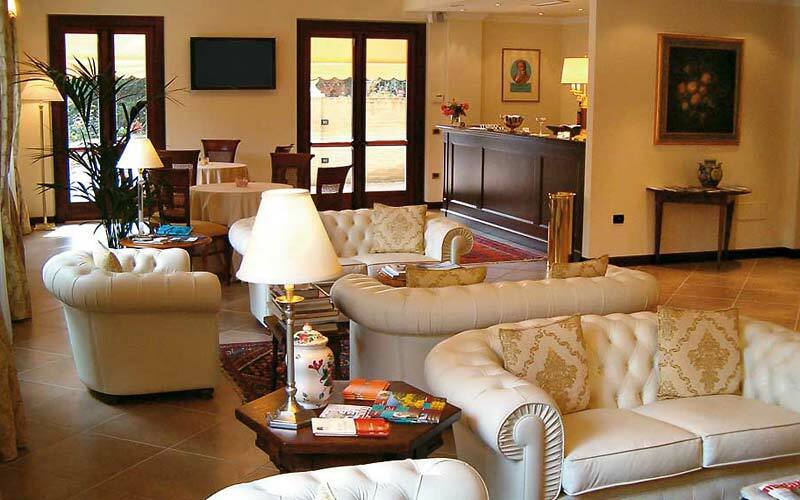 The interior of the hotel tells a tale of the decades which followed Villa Cattani Stuart's construction, when eminent artists such as Nicolò Berrettoni were enlisted to produce the frescoes, stuccoes and paintings which embellish the ceilings and walls of the Villa's elegant halls. 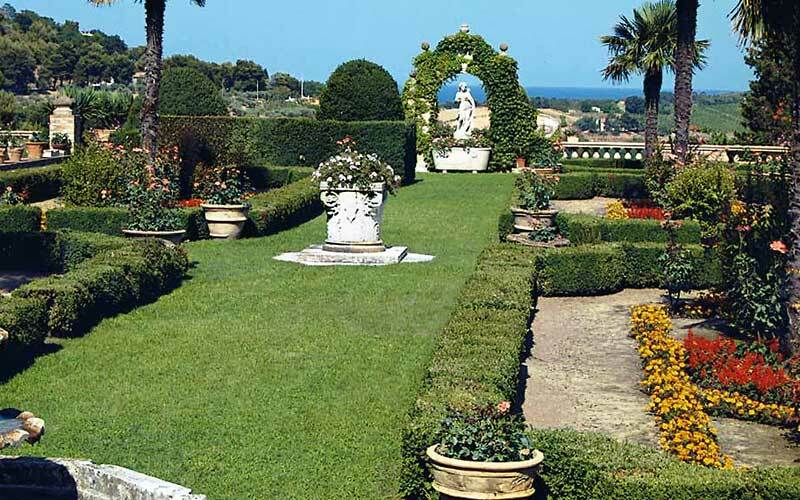 The beautiful grounds of Villa Cattani Stuart feature three splendid Italian gardens, complete with fountains, small temples and statues. 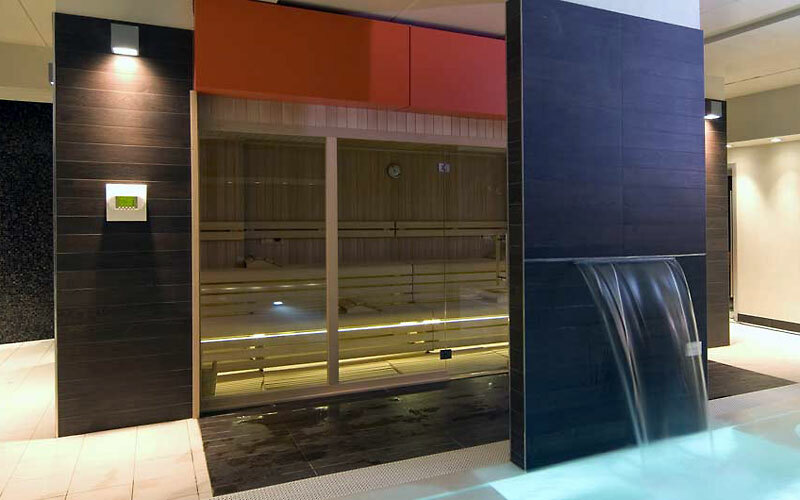 The spacious, panoramic terrace provides the idyllic setting for the hotel's swimming pool. 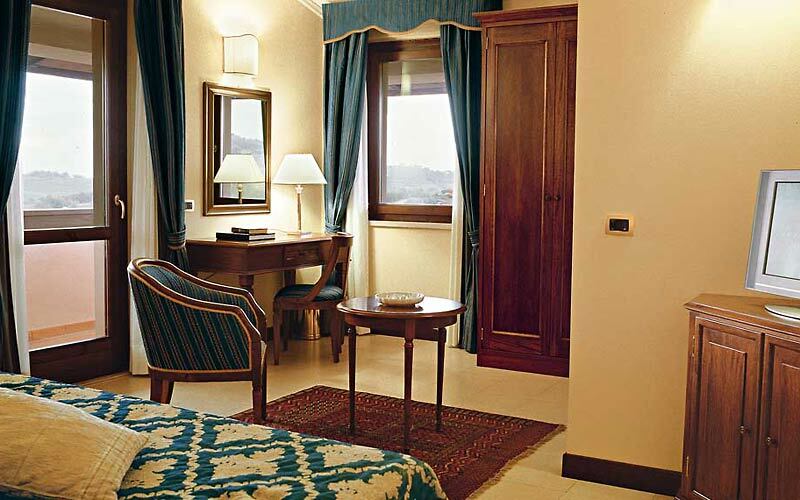 Guest bedrooms, suites, and apartments are located in the main house and the dépendance of Villa Cattani Stuart. 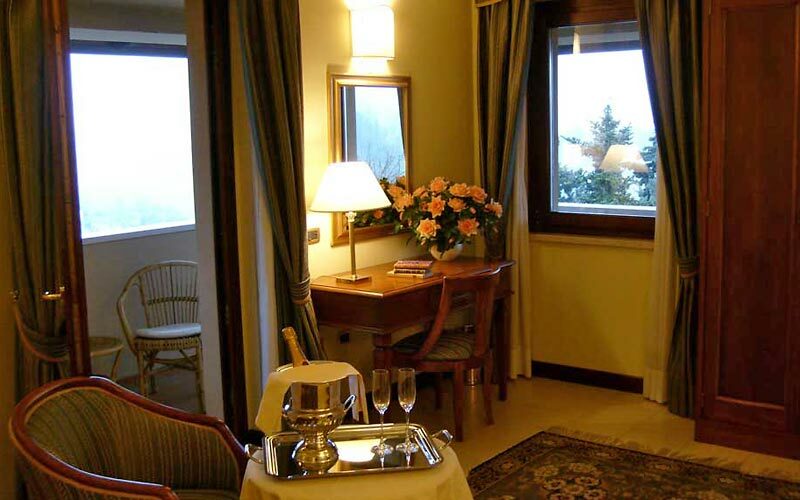 All rooms are equipped with the services and comforts of a modern hotel and enjoy panoramic views over the gardens of the villa to the sea of Pesaro. The sumptuous frescoed halls, the elegant drawing rooms, the sweeping terraces, and meticulously kept formal gardens, make Villa Cattani Stuart a much sought-after venue in which to host both indoor and outdoor events. 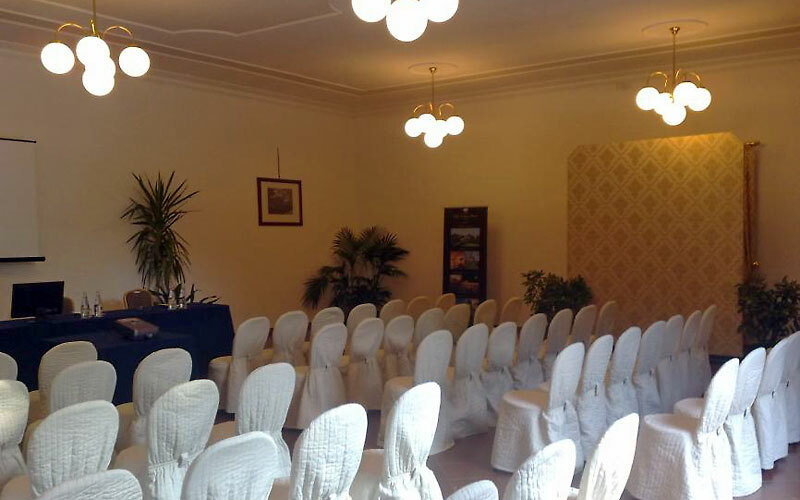 The hotel has 3 meeting rooms with a seating capacity for up to 500 participants, making Villa Cattani Stuart an ideal location for important business meetings, seminars, and conferences. 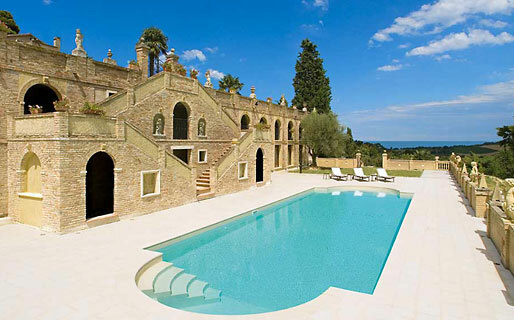 Hotel Villa Cattani Stuart is a prestigious period residence situated in Trebbiantico, a small town between the hills of Pesaro and the sea. At the center of a triangle formed by Pesaro, Fano and Urbino, Trebbiantico was built along the old road which once linked the city of Pesaro with the Ancient Roman "Flaminia" road. Here the rolling countryside of the Marche meets the beaches of the Adriatic.